Just came across instructions on how to make bacon cups. So many possibilities. Tea has now replaced coffee and espresso in my diet. My favorite variety happens to be the Golden Oolong made by Teas’ Tea. I order it from Amazon via Amazon Prime, and it ends up being roughly $2.00 per bottle delivered. Equal to the cost of a cup of coffee, half the cost of an espresso drink. Amazon ships boxes of Golden Oolong in packs of 12 bottles. Shipping is free if you have Amazon Prime, and free if your order is $25 or over. I’m not sure how long they can afford to keep shipping 15lb boxes of tea, but until they raise the price, I will keep ordering. 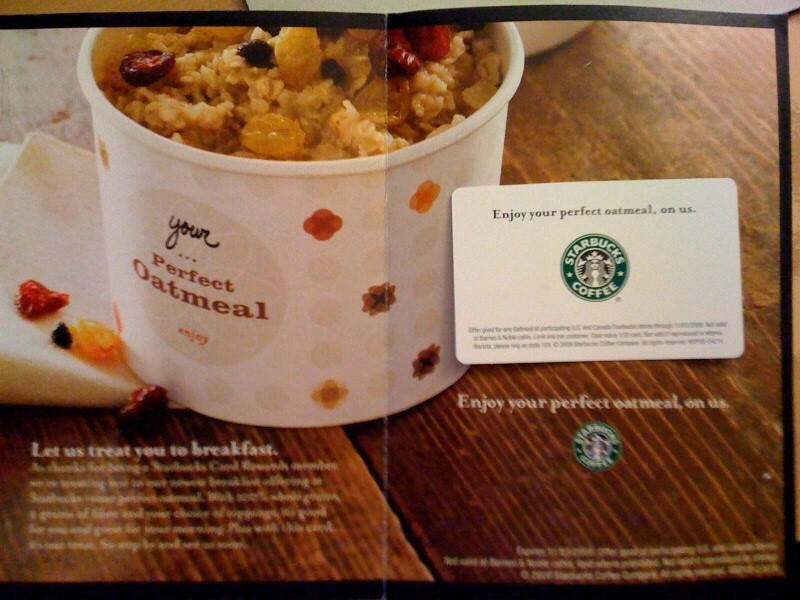 Just received a coupon to try oatmeal at Starbucks. Has the world come full circle? I saw something about this in one of the stores, and now I guess I’ll have to try it. If it’s better than the Vivano smoothie, that will not be saying much. Will update with a picture when I try it.